There is a wealth of plants growing abundantly all over roadsides, cities, and in your own backyard; this coincides perfectly with alternative medicine and natural healing reaching into every facet of our lives. These plants have numerous medicinal uses that people have largely forgotten. Once valued and widely used, they’ve fallen out of fashion over time as they were bypassed by commercial medicine. 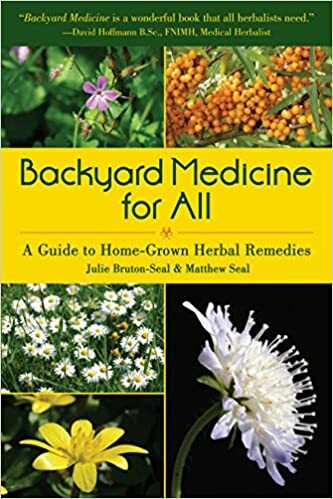 A companion to the team’s previous book, Backyard Medicine for All will focus largely on medicinal plants that grow by roads or paths in the countryside or in the city. These nearby but often overlooked ecosystems are significant wild plant communities! This new book is packed with practical information on how to use fifty forgotten plants to cure all sorts of common ailments. Each chapter has an introductory section that puts the plant(s) into historical and botanical context, and its forgotten or traditional medicinal uses, as well as featuring current medicinal applications. Make your own herbal medicines to cure complaints from hayfever to headaches to insomnia. Clear, easy instructions and stunning photographs will guide you to leave the armchair and go out to utilize backyard medicine yourself!